Hey everyone and happy #TileTuesday. How is everyone feeling about this time change? Even though we lost an hour on Sunday we can’t help but appreciate the longer daylight hours. It also means that summer is near and who doesn’t love summer?! While there are so many beautiful details in each and every one of our clubhouses, there is one element that always makes them pop: tile. On this week’s post we are going to be covering three different places to use glass mosaic tile. We’ll go over everything from where we get it to application and grout selection. 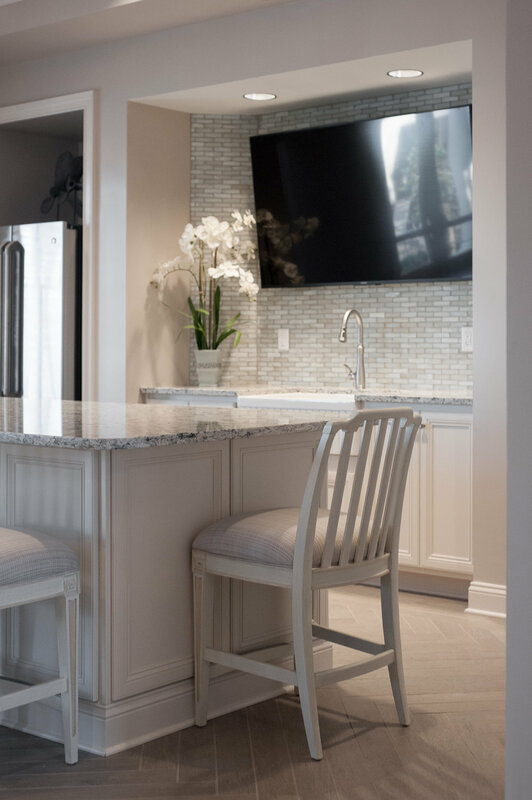 Beginning with one of the more obvious applications, the classic kitchen back splash. 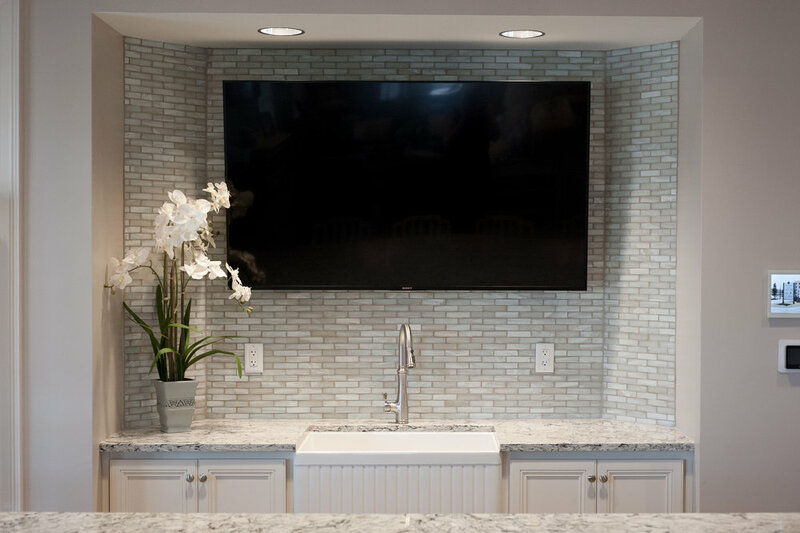 Adding a glass mosaic tile to your kitchen wet walls is not only aesthetically pleasing but also adds a durable surface to the space. Making it easily cleanable for guests and residents. The Puka Silk we used at the Markland Clubhouse in St. Augustine adds visual interest without being overbearing. The tile paired nicely with our historical Old Florida theme. 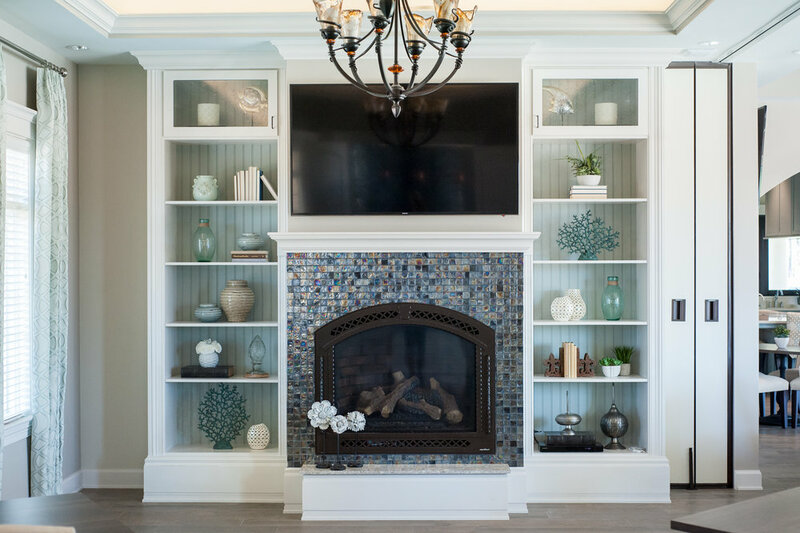 Next, we used a glass mosaic tile on the face of the fireplace mantel at the Artisan Lakes Clubhouse in Ponte Vedra, Florida. 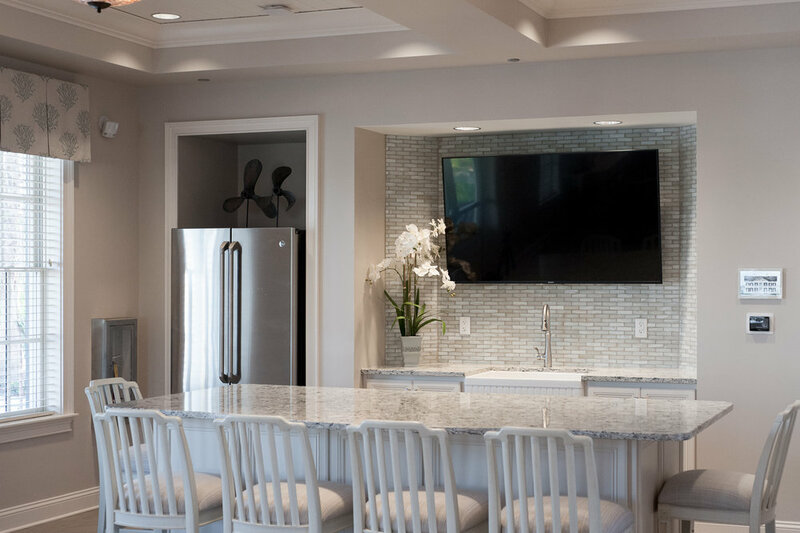 This feature gave the mantel a waterfall affect among all of the coastal elements and accents. The tile has a metallic look that looks stunning when the light hits it, complementing the architectural feature. We selected a dark blueish gray grout that promoted the tile to stand out by itself. The dark grout color also helps to hide dirt in a commercial application. Last but not least, we included a 1” x 1” glass mosaic tile to the fitness restrooms in the brand new Beacon Lake Clubhouse. 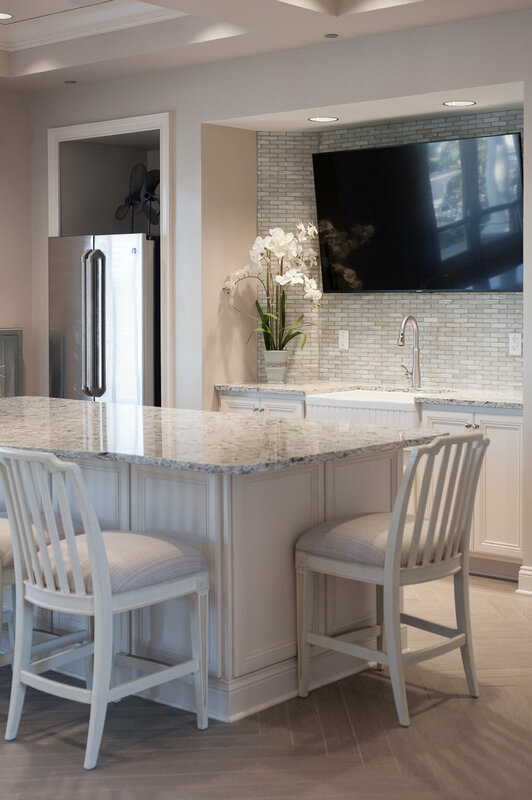 This beautiful multi-colored square tile is accented perfectly by the light blue sconces and dark gray soapstone counters. 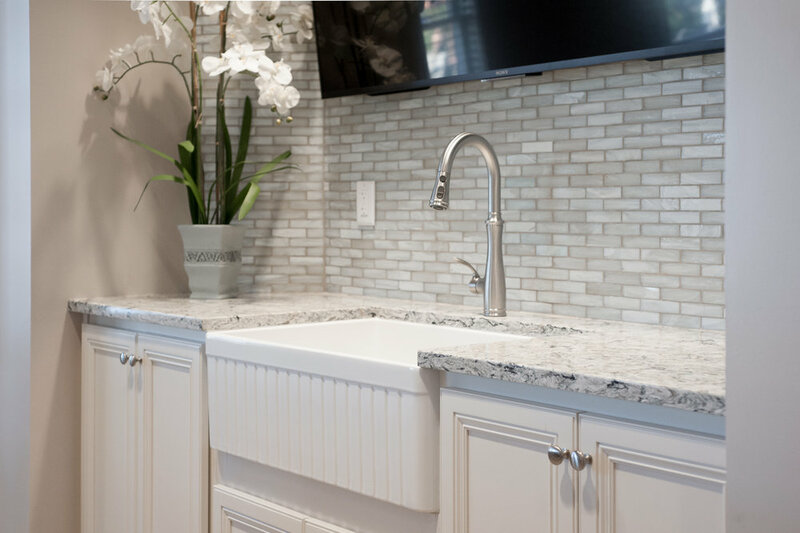 We selected a dark gray grout that matched the counter tops to avoid weathering from dirt and soap scum.